When you really want to make a style statement in your bathroom, a counter top basin is a great way to do it. They are sleek and elegant, and come in a wide range of styles to suit your bathroom and your taste. This guide will give you an overview of the counter top basins available at VictoriaPlum.com, and what you need to consider when choosing one. What is a counter top basin? This type of basin doesn’t make use of a pedestal, and doesn’t attach to the wall. Instead, it sits on top of a counter, looking like a large dish or bowl in an elegant and simple way. This means many counter top basins require freestanding taps, which can create a really striking look, though some basins do have tap holes incorporated into their design. Counter top basins are generally contemporary in style, but many also have a timeless quality about them which can suit bathrooms with a more classic style. There are lots of different shapes and sizes to choose from, so it’s easy to find something to match your taste. There are bowl shaped basins like the Ronda counter top basin, which create a beautifully clean and simple look. If you want a slightly more unconventional shape, there’s the Palermo basin in a trumpet-like oval. 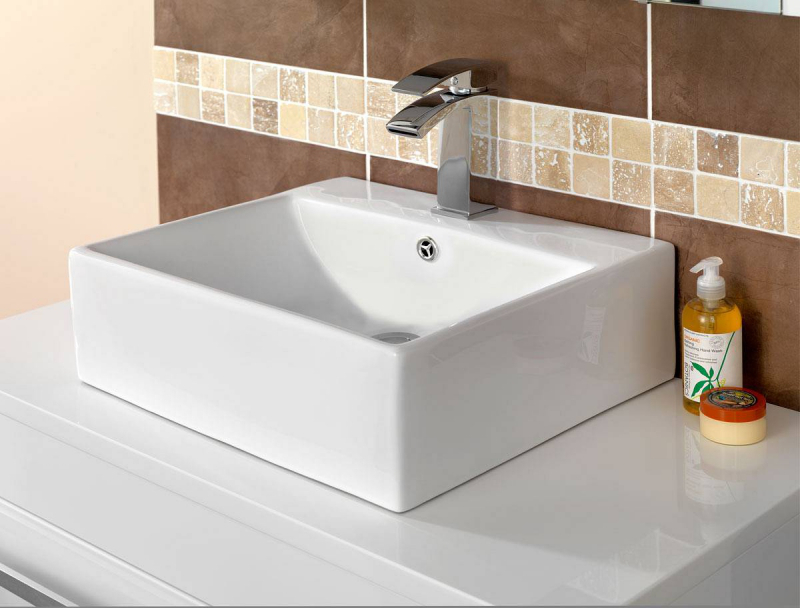 These styles of basin have thin edges with no tap holes, meaning you can create a really striking look. Another option is an angular basin with an incorporated tap, providing a slightly more conventional look but still with that edge of contemporary style. 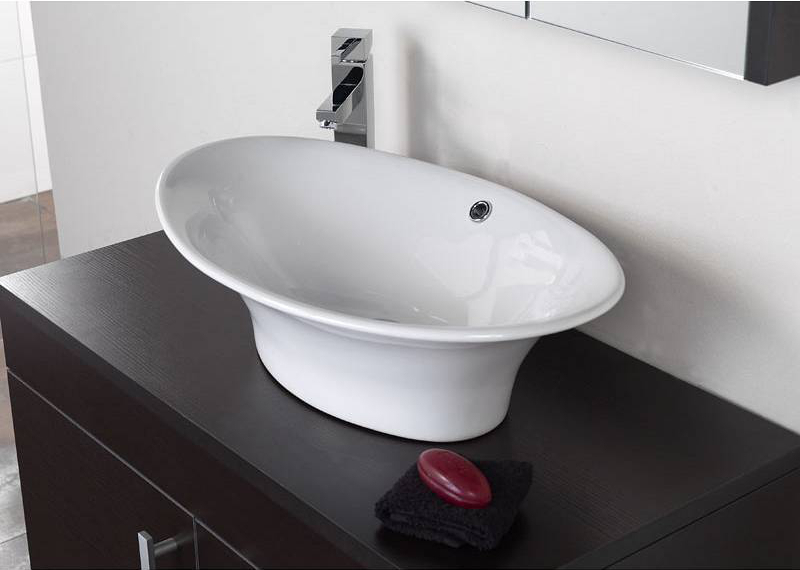 The Quadra basin provides a beautifully sleek and minimalist look, with clean, straight edges and a quality feel. The Bali basin is a little different, with curved sides that make it eye-catching and contemporary. Is a counter top basin right for my bathroom? A counter top basin can make a beautiful addition to almost any bathroom. The main requirement is that they need to be placed on a unit, so you have to take the amount of space you have available into account. Counter top basins and units generally do take up more room than a conventional sink, so this style is often better for larger bathrooms, but can be beneficial for adding some clever extra storage. You can also create a unified look with other bathroom furniture from the range at VictoriaPlum.com. 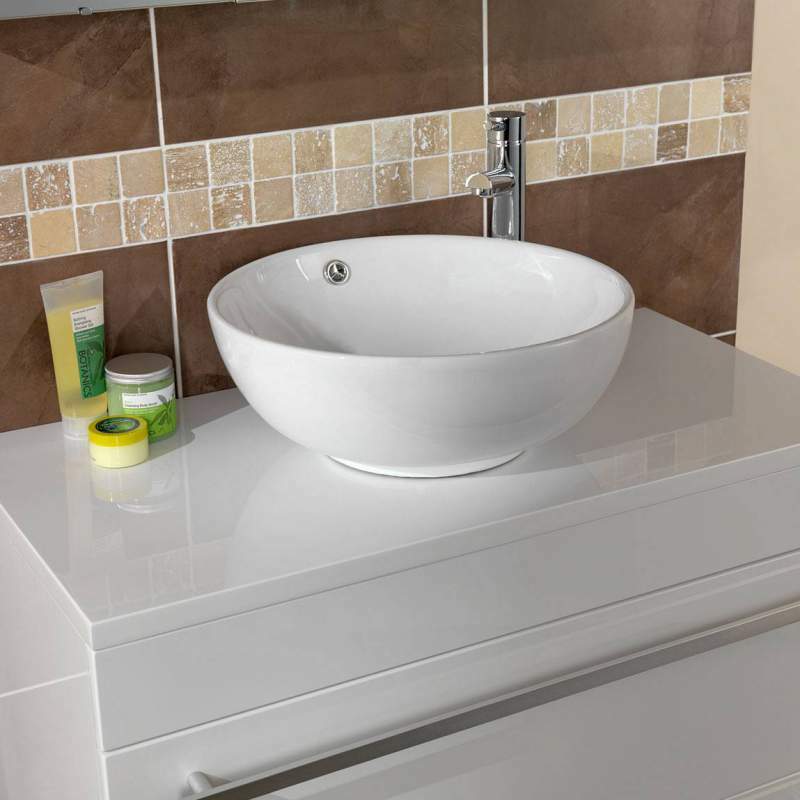 The basin forms one of the main focal points of your bathroom, so it’s worth taking the time to choose one that you’ll love to look at and use every day. Follow our handy buying guide and get the right basin for you. Designing a bathroom is often about making the most of the space, and a semi recessed basin and unit is a great way of doing that. Our handy guide will help you choose before you buy. One of the most popular concepts in contemporary bathroom design is the “home spa”. Making your own indoor spa means using all the features a luxury retreat has at its disposal but converting them into a format suitable for your home.